As the laws pertaining to health insurance continue to evolve, finding an affordable health insurance policy that provides adequate benefits can be a challenge. However, for someone with a serious pre-existing condition, it's even more important to find a policy that is a good fit. Signing up for a low-premium plan with high deductibles and copays is a gamble for even the healthiest Americans, but for someone with a pre-existing condition, it is a surefire way to accumulate massive medical expenses. 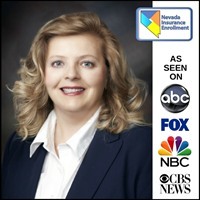 A licensed Nevada health insurance agent can help state residents sign up for health insurance with premiums, deductibles, and copays that they can afford. As the cost of healthcare continues to climb, it's important to ensure that those with pre-existing conditions are able to afford quality healthcare. A robust health insurance plan is necessary for paying for appointments with specialists, therapy, prescriptions, and anything else necessary for managing or recovering from an injury or illness. Many Americans are able to acquire health coverage through their employer. Those who don't have access to group health insurance must purchase an individual health insurance plan, which is a type of plan that someone purchases for themselves and their family members. Health insurance plans that are purchased through the Marketplace are required to provide 10 specified health benefits. The state where the policy is purchased regulates its provisions. For someone with a pre-existing condition, the monthly premium is among the most pressing concerns when shopping for health insurance. Prior to 2014, an insurer could deny coverage for someone with a pre-existing condition. Alternately, they could provide general coverage for the individual but decline to pay for any medical expense related to the condition. Someone with a pre-existing condition might have paid an exceptionally high monthly premium, if they were able to obtain coverage at all. ACA requires that insurers extend coverage to individuals with pre-existing conditions. Currently, a health insurance provider cannot exclude, limit, or deny coverage solely because of a pre-existing condition. They also cannot charge a higher premium because of the illness, disability, or injury. In addition to this, ACA also eliminated the need for those with pre-existing conditions to go through a waiting period before having health insurance coverage. For this reason, coverage can generally only be purchased during the Open Enrollment Period. There are, however, several major life events that may qualify an individual for a Special Enrollment Period. These events include giving birth or adopting a child, moving from one state to another, or losing qualifying health insurance due to a divorce or death. 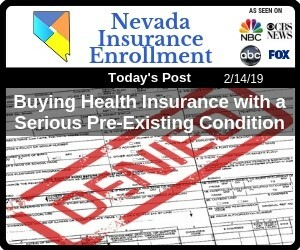 In Nevada, residents are able to enroll in health insurance year-round. However, if a resident enrolls outside of the Open Enrollment Period and does not qualify for a Special Enrollment Period, they will have a minimum 90-day waiting period before their coverage begins. Assistance from a licensed health insurance agent is essential for choosing a plan that has an affordable monthly rate but will adequately cover the expenses of a pre-existing condition.